Some of the photos I use in these entries are from other participants at the conference. So I just want to give them credit by linking to the original photos. There is no such thing as too obsessed with your dog. Absolutely not. 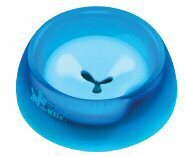 Alpha paw’s “Drink Better™ Bowl” is designed by a true pet lover who succeeded at beautiful Form following thoughtful Function.